Launching in Oslo, Norway the predominately Norwegian team includes Thomas Wærner (winner Finnmarksløpet 2013), Marit Beate Kasin and Joar Ulsom (winner Iditarod 2018) along with four-time winner of Iditarod, Dallas Seavey from the USA. Matching race winning experience with future talent, the young musher, Hanna Lyrek, will also join the team. “Races such as the Finnmarksløpet and Iditarod, are more than just races. They are adventures you experience with your dogs, team mates and fellow competitors in the great outdoors. I am honoured to be part of Team Qrill Pet where we are working with Aker BioMarine and partners on improving dogs health and well-being. We are also building a strong foundation for our sport for the future,” says mushing champion Thomas Wærner. The team will race at the major mushing marathon events, such as Finnmarksløpet, Iditarod and Femundsløpet. “We are thrilled and inspired by Aker BioMarine’s launch of Team Qrill Pet. We welcome their investment in a professional team and support their vision to build and increase the popularity of the sport, encouraging a new generation mushers to take up the reins,” the chairman of Finnmarksløpet, Per Aronsen says. 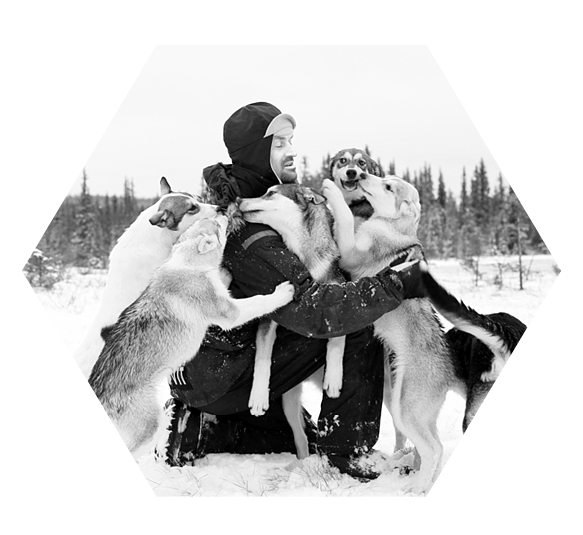 “Aker BioMarine has for a long period of time, had an active interest in dog mushing and paid special attention to the iconic dog mushing races held in Finnmark, Røros and Alaska. We´ve had fantastic experience with our pilot sponsorships with Thomas Wærner and Joar Ulsom, helping to improve their dogs’ overall endurance and well-being,” Matts Johansen, CEO Aker BioMarine, explains. Team QRILL Pet will line up for the first race of the season at Mush Synnfjell, 4-6 January 2019. Team QRILL Pet is the world’s first professional long distance sled dog team. Team members are Thomas Wærner, Marit Beate Kasin, Joar Ulsom, Hanna Lyrek (all from Norway) and Dallas Seavey (USA). The team will compete in the big mushing events in the US and Norway. The strategy is to optimize dogs health and endurance. Recruitment and collaboration in the sport is key in order to help build the sport. The Finnmarksløpet is the world's northernmost sled dog race. It is also Europe's longest sled dog race. The race starts on Saturday of the 10th week of the year and goes across Finnmark in Norway. The race was first run in 1981. The Femund race is an annual long-distance dog sled race. The race starts early February in the historical mining town of Røros, which is listed among UNESCOs World Heritage Sites. The Iditarod Trail Sled Dog Race is an annual long-distance sled dog race run in early March from Anchorage to Nome, entirely within the US state of Alaska.